Mel Gibson is looking at having himself a bit of career resurgence after scandal took him out of the limelight several years ago, and it is one of his most notable projects that will be helping to bring him back. 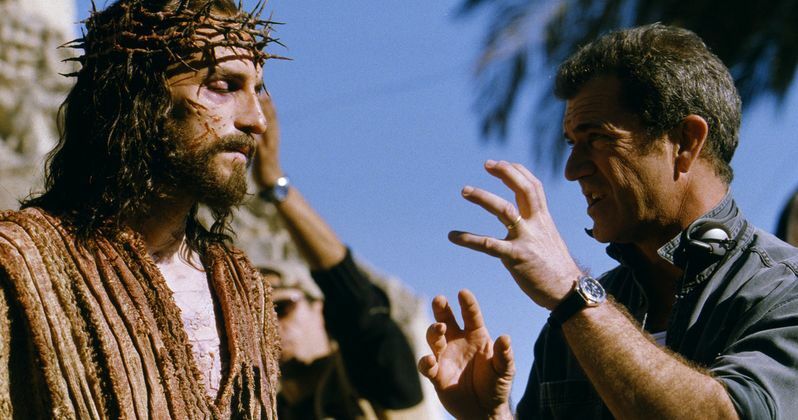 It was recently revealed that Passion of the Christ 2 is being worked on. Now, Gibson has himself confirmed the news and revealed that the sequel to the 2004 faith-based, R-rated blockbuster will be titled The Resurrection. Gibson appeared at the SoCal Harvest event over the weekend for an interview with Pastor Greg Laurie. During the course of the interview, the subject of the sequel, which Mel Gibson has been fairly quiet about up to this point, did come up. Gibson decided to take the opportunity to open up about the movie, revealing the title and discussing some of the challenges in developing it. Here is what he had to say. "Of course, that is a huge undertaking. And you know, it's not the 'Passion 2.' It's called 'The Resurrection.' Of course, that's a very big subject and it needs to be looked at because we don't want to just do a simple rendering of it - you know, read what happened. But in order to read it, experience and explore probably deeper meanings of what it's about, it's going to take some doing and Randall Wallace is up to the task. He is also, as well as a brilliant writer, he is a great director. He directed 'We Were Soldiers' and 'Heaven Is For Real' and stuff. So, he is a good writer and director." A few months ago, it was Randall Wallace who broke the news about The Resurrection in an interview with The Hollywood Reporter. Wallace and Gibson have worked together quite a bit in the past, with Wallace writing the script for Braveheart, which went on to win several Academy Awards, including Best Picture. Here is what Wallace had to say about the sequel to Passion of the Christ during that interview. Wallace also explained that there has been demand from the evangelical community for a sequel for quite some time, and they think a sequel could be an even larger success than the original. That is a tall order. The Passion of the Christ was, up until the release of Deadpool this year, the most successful R-rated movie of all-time, grossing $611 million on a budget of just $30 million. At the moment, The Resurrection doesn't have a studio or financial backers, but with Gibson onboard to direct and Wallace back to pen the script, it seems very likely that will change. Gibson has been sidelined for quite some time now, relegated mostly to taking roles in smaller movies, and avoiding directing altogether. There has been some positive buzz around his latest movie Hacksaw Ridge, a war movie which features Andrew Garfield and is the first feature Gibson has directed since Apocalypto in 2006. He also recently starred in Blood Father, a return to action movies for Gibson, which was well liked and is currently sitting at an 86 percent approval rating on Rotten Tomatoes. The Resurrection is still in early stages, with Wallace still working on the script, but it is most definitely happening. There is no word on an anticipated release date yet for the Passion of the Christ sequel, or if Jim Caviezel will return to play Jesus, but it seems very likely that he would. Hacksaw Ridge opens on November 4. You can check out the full interview with Gibson for yourself below.